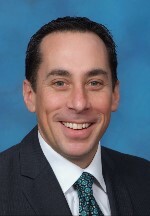 David Gilbert serves as president & CEO of Greater Cleveland Sports Commission, an organization dedicated to making Greater Cleveland the nation’s foremost destination for amateur sporting events and activities, and Destination Cleveland, the region’s convention and visitors’ bureau. He re-established the Sports Commission in 2000 and assumed his role with Destination Cleveland in 2011. From April 2015 through December 2016, David also served as the president and CEO of the Cleveland 2016 Host Committee for the Republican National Convention. 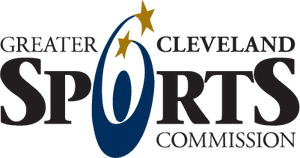 The Greater Cleveland Sports Commission is responsible for attracting, promoting, and managing major amateur athletic events and for creating sporting opportunities for youth and amateur athletes. Since 2000, the organization has attracted or created more than 190 events including 25 NCAA championship competitions. These events have contributed more than $570 million in local economic impact. At Destination Cleveland, Gilbert is responsible for carrying out the organization’s mission to drive economic impact and stimulate community vitality by positioning and promoting Cleveland as an exciting, vibrant destination. Gilbert serves as vice president on the board of the International Children’s Games, based in Lausanne, Switzerland, and sits of the boards of the Rock & Roll Hall of Fame, the Greater Cleveland Film Commission, and the Maltz Museum of Jewish Heritage. 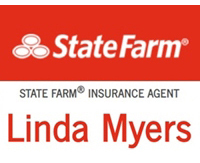 He was named by Crain’s Cleveland Business as one of Cleveland’s “30 influencers of the past 30 years,” Ernst & Young Entrepreneur of the Year and in 2016, he received the SME Cleveland Business Executive of the Year Award. Gilbert has a Bachelor of Arts degree in marketing from The Ohio State University and an MBA from Cleveland State University. He resides in Moreland Hills with his wife, Faith, daughter, Emily, and son, Bradley.